The site has become a reference for many other sites and writers, and has over 357,000 words published. 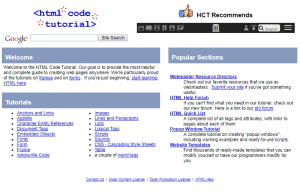 HTML.com has roots back in 2002, originally under the domain name HTMLCodeTutorial.com. The original site was intended to be a quick reference site for HTML tags and attributes. It wasn’t pretty, but contained quality tutorials and reference pages for HTML users. 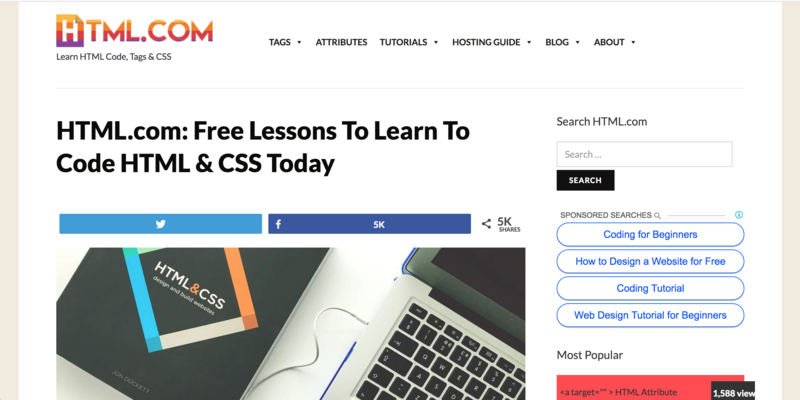 As the site grew, it made sense to add additional types of content in the form of CSS help and a forum. The site didn’t change much for many years aside from the busy forum. 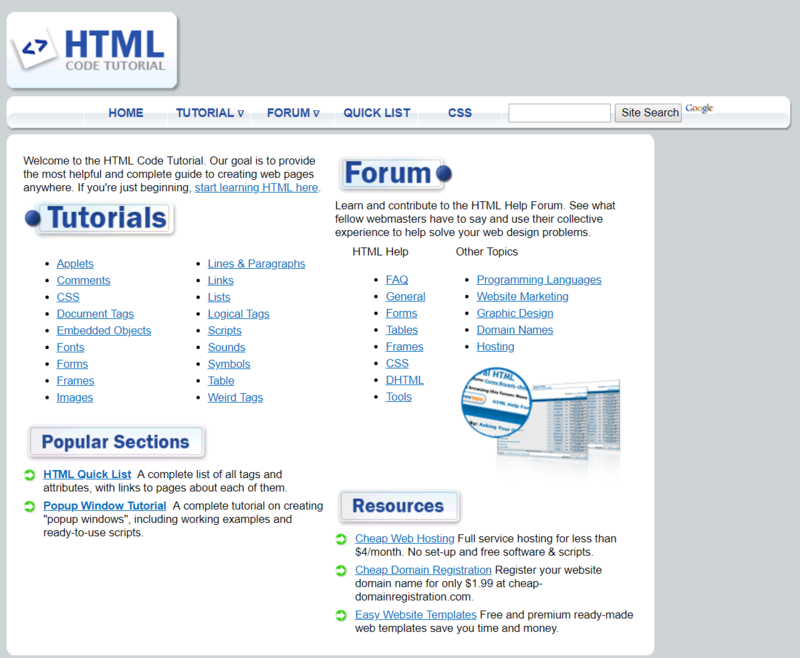 It wasn’t until we acquired HTMLCodeTutorial.com that significant changes occurred. One of the biggest changes occurred in 2016, where we rebranded the site to HTML.com – a 24 year old domain name acquired from Red Hat engineer Keith Basil. Keith had owned the domain for decades – in fact, since registration. The design has been updated with a modern WordPress theme, and all content has been kept updated. The HTML references were updated to be HTML5 compliant, and we published several in-depth web development guides. In addition, we added several hosting guides geared specifically towards developers. This is in addition to our complete list of HTML5 tags, along with brief summaries, and a similar collection of popular tag attributes. Our content has been mentioned or linked to in articles, forums, discussions and more by thousands of sites. Our fully remote team has both web developers and technical writers on it, from a variety of different backgrounds. What we share in common, is passion for and experience with technology and web development. Interested in working on HTML.com? Take a look at our jobs page. If you’d like to discuss a possible partnership, please get in touch via the site’s the contact form.